Dr. James Hamilton (B.A., B.Dent.Sc., F.D.S.F.D.R.C.S.I. Dip.Imp.Dent.R.C.S.Ed., PG.Dip.Orth and ADOC) - Naas Dental Centre. Muriel O'Donnell (Director of Nursing) - Millbrook Manor Nursing Home. Emmet Gleeson (General Manager and ADOC) - Ardmore Lodge Care Home. Colette Oglesby - (Operations and Staff Support Manager)- Radisson Hotel Group. Betty Patterson (Owner) - Patterson's Nursing Home. Antoinette King (General Manager) - Beech Park Nursing Home. “The Instructor was very knowledgeable and able to portray the course well”. 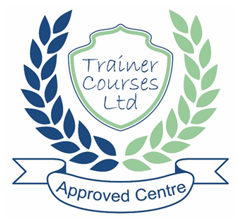 “The Instructor was enthusiastic and clear when delivering the course. Absolutely – Ya”. “Brilliant and very informative - Garry has a great manner and explained everything in a way that was easy to understand.”. “Excellent Tutor who always makes you feel comfortable. I really enjoyed the course and it was extremely interesting”. “Instructor was enthusiastic and clear when delivering the course, happy to see Garry again”. “Yes, Garry was great. Much appreciated”.